Home » Florida » From 2016 UN deliberations: Is Elder Guardianship A New Form Of Human Trafficking? Wide view of the United Nations General Assembly Hall during the opening of the meeting. Due to a string of horror stories and rising complaints, on March 10, 2016 Governor Rick Scott signed into law Senate Bill 232 creating the Office of Public & Professional Guardians to replace the Statewide Public Guardianship Office within the Florida Department of Elder Affairs. In April, they initiated rule making procedures to address the regulation of professional guardians, including standards of practice and disciplinary guidelines. These are expected to be in place October 2016. While these necessary changes are underway, what happens to seniors, like Lillie and Marie, who are being victimized this moment in Florida? Will they get a pardon and be set free? An argument can be made that the “Liquidate, Isolate, Medicate” Elder Guardianship process in Florida at its worse is a form of human trafficking. On the basis of the definition, it is evident that trafficking in persons has three constituent elements: a) The Act (What is done) — In this case, the transfer and harbouring of a person, b) The Means (How it is done) — Abduction, deception, abuse of power or vulnerability, and c) The Purpose (Why it is done) – In the case of guardianships, the purpose is financial exploitation — a form of servitude. Seniors are sedated in locked assisted living facilities while their assets are spent down. Given demographic trends, elder financial abuse is expected to grow dramatically unless we do something. The baby boom generation is reaching retirement age at a rate of 10,000 people per day. Those 65+ will make up 20% of the population by 2050. The 2015 White House Conference on Aging has made “elder justice” one of its four tracks. There is now a federal home for Adult Protective Services and a new Elder Justice website called a “one-stop shopping site for victims, families, prosecutors, researchers and practitioners.” President Barack Obama declared June 15, 2016 as World Elder Abuse Awareness Day. Just as we continue to make strides with human rights issues around the world, we need to shine a brighter light on elder abuse on our soil — particularly this type of vicious and systemic financial exploitation. To be an elder is a privilege, not a condition causing you to be tossed aside and abused. Our elders need to be protected and respected. If we’re lucky, we will all get old. Let’s create a society where we can age with grace and dignity. Teresa Kay-Aba Kennedy is a Harvard Business School-trained strategist and President of Power Living Enterprises, Inc. Her mission is to raise the consciousness of the planet and create a more sustainable world by releasing the potential in individuals. 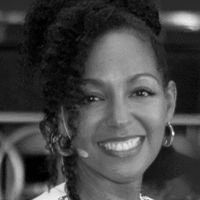 A seasoned life coach/speaker and founder of the first yoga studio in Harlem, she has been featured on the cover of Yoga Journal, in Oprah’s book, Live Your Best Life!, and was selected as a World Economic Forum Young Global Leader. An early Internet pioneer and TV executive, she has advised billion-dollar companies on their multi-platform engagement strategies. Her latest award-winning book — co-authored with her mother Columbia University-trained journalist Janie Sykes-Kennedy — is Dancing Light: The Spiritual Side of Being Through the Eyes of a Modern Yoga Master on her teacher/mentor 98-year-old yoga master Tao Porchon-Lynch. On June 20, 2016, Kennedy moderated a conversation with Tao Porchon-Lynch at the United Nations for International Day of Yoga on “Yoga for the Achievement of the Sustainable Development Goals.” On October 3, 2016, for International Day of Non-Violence, she will facilitate a conversation with Ms. Porchon-Lynch on Mahatma Gandhi and Dr. Martin Luther King, Jr. hosted by the Indian Consulate in New York. On November 19, 2016, she will moderate another discussion with Ms. Porchon-Lynch at the United Nations for Women’s Entrepreneurship Day. For inspiration, go to www.IAmPowerLiving.com, subscribe to the weekly Dose of Power Living and the Power Living YouTube channel. Be sure to Like us on Facebook and follow us on Twitter. Note: Kennedy is the niece of Lillie featured in this article. As of September 13, 2016, Lillie’s family still does not know where she is and the temporary guardian refuses to tell them. For more, go to www.elderdignity.org. Watch the video and let us know what you think. For specific questions or suggestions, email elderdignity@hotmail.com. You can read a copy of this article at Huffington Post’s website by clicking here.